Q: Is it based on a manga or a book? Q: Is the anime loyal to the book and what really happened? Q: At the beginning of the movie, why does the mother leave Seita and Setsuko behind? Q: Why would the mother leave her children when there's a possibility of an air raid? Q: When and where did it take place? Q: Who did the music? Q: Did Bandai produce this movie? Q: Is it available in English? Q: I heard that it was double-featured with "Totoro" in Japan. Is it true? It is based on a book (more of a short story), "Hotaru no Haka", by Akiyuki NOSAKA, published by Shinchosha. The story is semi-autobiographical. He lost his little sister during the war due to malnutrition. He blamed himself for her death for a long time, and wrote this story to come to terms with it. For information on the different translations available, please see the Books page. Q: Is the anime loyal to the story and what really happened? Very much. Takahata, the director, is known for his realism. Unlike Miyazaki, who takes a manga or novel as just material to build his own world and tell his own story, Takahata usually recreates the world in the original manga or novel perfectly. However, the ghosts of the two children were Takahata's creation, they don't appear in the original story. Akiyuki NOSAKA explains what really happened. The story makes that clear. Since she gave birth to Sestuko she has a heart desease and can't run. Therefore Seita sends her to the shelter ahead, since he can't carry Sestuko and his mother. She cares very much for her children. In the story she's quoted: "'You must run away with Setsuko, I can take care of myself somehow. If somethings would happen to you both, I never could face father again. Do you understand?' This, half joking, mother had often said"
MAMIYA, Michio. He also worked on other Takahata movies, such as "Horus" and "Goshu". No. Bandai just distributed the video in Japan, since the producer of the film, Shinchosha, doesn't have a video distribution network (it's a publishing company). Subbed or dubbed VHS tapes and two DVDs are available from Central Park Media. The film has also been released on DVD in many countries, more details on the Video page. Q: I heard that it was double-featured with "Totoro" in Japan. Is that true? 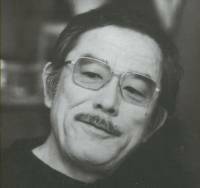 Toshio Suzuki, then the chief editor of "Animage" (now a producer at Studio Ghibli) went to Shinchosha, the company which published the book. Since Shinchosha was looking for an opportunity to enter the movie business, they agreed to produce the movie "Grave". Both Tokuma and Shinchosha knew they were going to lose money, but they still went ahead with the project (they did lose money from the theatrical release). So, if it were not for "Grave", there would have been no "Totoro". The film was very well received from the start because of its themes, of course. People thought it was a very meaningful work. It was a little awkward in a way, because it was double-featured with My Neighbor Totoro. The response was different depending on which film was shown first. My Neighbor Totoro would make them happy, then this Grave of the Fireflies... Those who saw Totoro first didn't want to see Fireflies to the end. Those who saw Fireflies first didn't have that problem, and stayed to the end. The double featuring was a problem, I'd say.